MARVEL Battle Lines features an innovative approach to the card battle genre through its dynamic 3x4 gameboard that players will compete on throughout single player missions and player vs player (PvP) matches. Players will collect and build the ultimate deck of Super Heroes and Super Villains from fan-favorite Marvel characters including Iron Man, Black Panther, and Squirrel Girl, mastering their strategies and combinations to take on greater challenges. A variety of modes including a single player campaign with an original story crafted by Marvel writer Alex Irvine and the real-time turn-based competitive PvP arena will be available on day one for players. MARVEL Battle Lines will be available on October 24 as a free download on the App Store for iPhone and iPad and on Google Play for Android devices. MARVEL Battle Lines, the strategic card battle game featuring hundreds of iconic Marvel Super Heroes and Super Villains, will launch to mobile devices worldwide on October 24. New York Comic Con attendees can be among the first fans to experience MARVEL Battle Lines during the convention from October 4 - October 7 at the Jacob Javits Center in New York City. 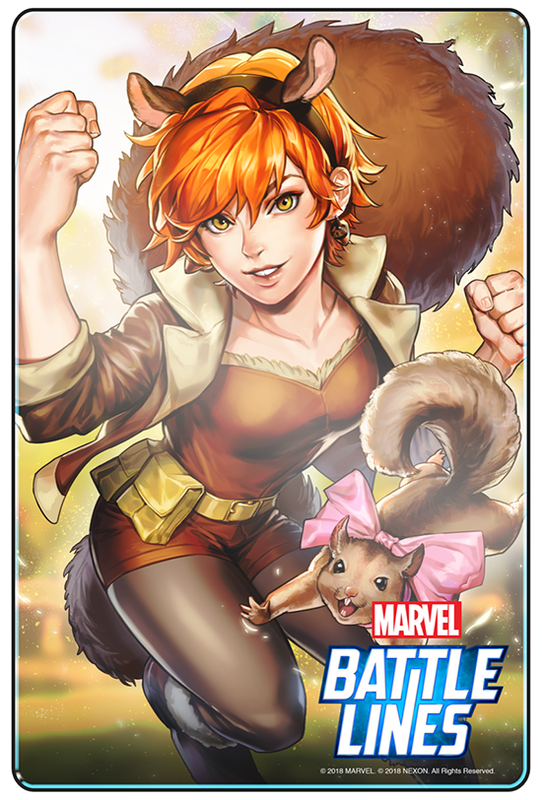 Fans can visit Nexon’s MARVEL Battle Line’s booth (No1736) at New York Comic Con to play the strategic card battle game. Collectible MARVEL Battle Lines New York Comic Con pins will be available* exclusively for fans who complete the demo of the game at the event. Players can come back each day during the convention to hone their skills and to collect a new exclusive pin.